Eloping in Florida will be all you have dreamed of with Suncoast Weddings. As long as your marriage license is in order, we're here to make your dreams come true. Our record for first hearing from a couple and performing the service is three hours, although couples elope to Florida for all kinds of reasons and sometimes we have the luxury of months to plan a 'surprise elopement'. If your elopement is arranged close to the date itself, we'll help find the perfect location where a permit is not required to be filed weeks in advance. Whatever your circumstances, we'll make your day special, because it's all about you ... and it's all about love. Our packages are affordable and we're flexible with many Florida beach wedding locations along this lovely part of the Florida coast. 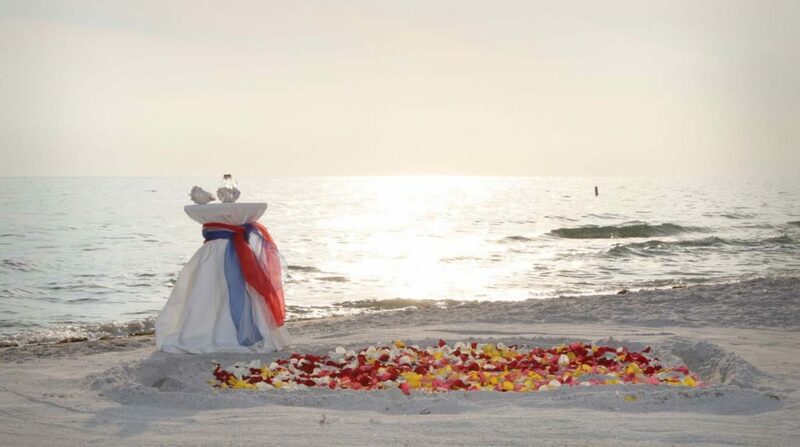 With the Gulf of Mexico to one side and the person you love stood next to you, there's really no place better to say "I Do"
Getting beautiful photographs and a video of the service will make it easy to share your joy with family and friends. Looking for a simple ceremony? Our Toes in the Sand package is intimate and romantic. Thinking of Eloping in Florida? Take a look at our site or give us a call. We're ready to start planning your romantic elopement in Florida. 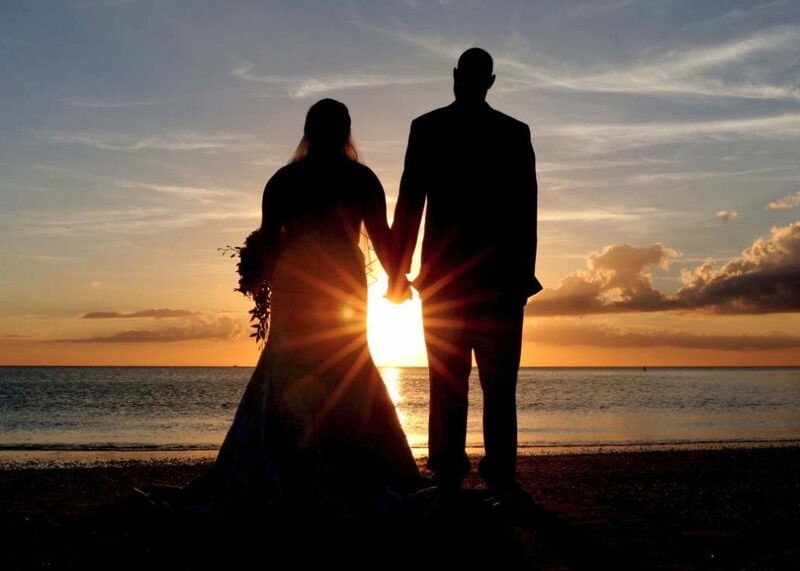 If you are looking for sunset portraits, we recommend a ceremony about an hour before sunset. We know the best places around to stay and dine and are happy to bring our local expertise to your wedding planning. Start the journey today, call us at 727-443-0039 or drop by our office in Treasure Island.